Christ is the inspiration. He is Everything. The Lord is seen when there is nothing blocking Him from view. 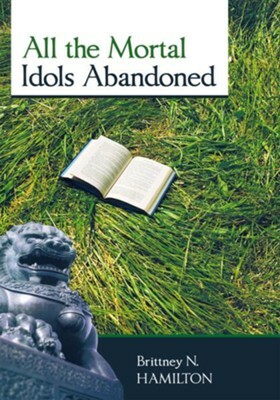 On the journey home, there are many statues that call for being torn down so not to cast a shadow on The Lover. 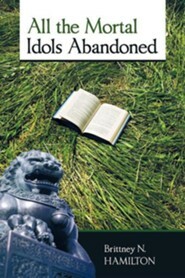 All the Mortal Idols abandoned refers to investing not into what is temporary; idols that try to hold on from a former life of misery or take the form of a tempter at the side of the road ahead. Consider all that Christ is. Christ is the only true light and how great it feels when Light passes through. A dig into various topics and scriptures addressing such categories as invitations for someone who is teetering between fear and new faith, being prepared while we wait for the final Day, what goes into an amazing faith, mindsets opposite that of worldly mindset, and a look at believers as a body. Also, personal testimony of The Lord's ever present help, life changes to better live for Him, and poetry pieces filled with praise to His Magnificance. 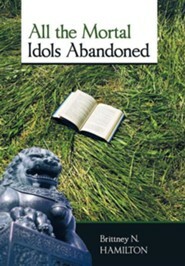 I'm the author/artist and I want to review All the Mortal Idols Abandoned - eBook.